Re-electionist Senator Bam Aquino today welcomed President Duterte's order to release the fourth and final tranche of the salary increase for government employees, including public school teachers. Sen. Panfilo Lacson will join House appropriations committee chairman Rolando Andaya Jr. in denouncing supposed realignments by some senators in the 2019 budget - if Andaya has proof of it. Outgoing Budget Secretary Benjamin Diokno does not want a politician to run the Department of Budget and Management (DBM). Almost all funds under the 2018 national budget have been released as of Decembe 31, 2018, outgoing Budget Secretary Benjamin Diokno said. Analysts may have been surprised with Budget Secretary Benjamin Diokno’s appointment as Governor of the Bangko Sentral ng Pilipinas (BSP), but it’s a dream he’s been holding on for so long. Budget Secretary Benjamin Diokno is the new governor of Bangko Sentral ng Pilipinas (BSP). Camarines Sur Rep. Rolando Andaya Jr. denied on Wednesday Budget Secretary Benjamin Diokno’s claims that he started the practice of bidding government projects even before the approval of the national budget. More than 90 percent of positions reserved in the public service remain unfilled as of February 12, 2019, Budget Secretary Benjamin Diokno said. Lawmakers have given themselves two weeks to submit the enrolled General Appropriations Bill to the Office of the President (OP). He might only gain public sympathy. In defense of Budget Secretary Benjamin Diokno, Cabinet Secretary Karlo Nograles insists that the Duterte administration does not resort to bribery. 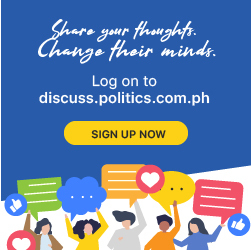 Palace respects Diokno’s absence at 2019 budget probe: Baka kailangang mag-review! Malacanang said on Friday it respects the decision of Budget Secretary Benjamin Diokno not to today's House hearing on the alleged anomalies in the 2019 budget. Malacanang has assured that the proposed 2019 national budget would be free of pork barrel funds. In defense of Budget Secretary Benjamin Diokno, Cabinet Secretary Karlo Nograles insisted on Friday that the Duterte administration does not resort to bribery. Budget Secretary Benjamin Diokno denied on Friday he offered congressmen P40 billion to keep mum on the alleged P75 billion insertion in the proposed 2019 national budget. Malacañang said on Tuesday it will not interfere in the issuance of a show-cause order against Budget Secretary Benjamin Diokno to explain his failure to attend the congressional hearings on the proposed 2019 national budget. The Supreme Court (SC) set down rules for the conduct of oral arguments concerning the petitions which sought to stop the martial law extension in Mindanao. Malacañang on Monday said it expects a “better Executive-Congress ties” with Capiz Rep. Fredenil Castro (2nd District) occupying the Majority Leader office. For the third time this month, the House committee on rules has invited embattled Budget Secretary Benjamin Diokno to finally shed light on alleged budget irregularities before a congressional inquiry. MANILA -- A petition for mandamus compelling Budget Secretary Benjamin Diokno to release the fourth tranche of government workers’ pay hike becomes moot and academic once the 2019 national budget is passed, Malacañang said on Thursday.